Come join the fun at Adventure Day Camp, a unique camp where children will experience special adventures through many fun activities. Weekly themes will be explored through art, music, games, STEM, food tastings, and other theme related fun. In the afternoons, campers will have a choice of two one-hour activities per week. The campers can choose from chess, basketball, arts & crafts, recreational games, soccer, STEM activities and more. On Fridays, a special event or excursion is planned. Please refer to the 2019 Summer Adventures brochure for descriptions of weekly themes, special events, excursions and general information pertaining to Adventure Camp and Summer Programs at The Wardlaw + Hartridge School. Each week, all campers will go on either a trip or experience a special event. The counselor to child ratio will be 1:5 or less for all trips. All trips and events are included in the program fee. No “trip refunds” will be given. Trips and events may change due to weather or other circumstances. Campers should dress in casual comfortable clothing. All campers must wear sneakers. Campers will be provided with a camp t-shirt that must be worn on all trips. We encourage you to avoid any clothing that is considered to be distracting or distasteful. Please label all clothing and accessories, including towels and swimsuits. Wearing jewelry is not recommended. The Camp is not responsible for lost personal items. A locker is available during swim times but you will need to provide a lock. June 24 to August 9, 2019. There will be no programs on July 4th and 5th. Please note: Parents must pre-register for Before Care Services. 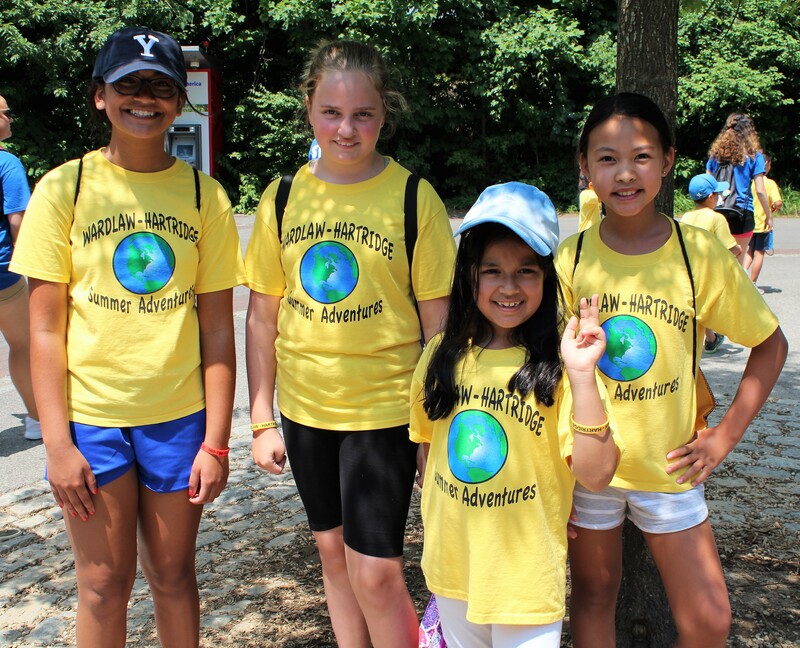 For more information about Adventures Day Camp, see the brochure or contact Debbie Ostrowski, summer assistant, or Dawn Cancryn, Director of Summer Programs, at summeradventures@WHschool.org.